I can't really judge Hollywood's decision to make a movie version out of Candy Land, because I am obviously not the target demographic here. I mean, sure, I still play Candy Land like, all the time, but that is because I am a child and I keep that knowledge to myself. Plus, I am not one of those Candy Land purists who believe that Gramma Nutt has to live exactly 15 paces away from the Molasses Swamp or that Princess Lolly can't hang out with Queen Frostine. We can suspend our disbelief on this one! Gumdrop Mountain can be set literally anywhere, and Mr. Mint can be played by anyone from Russell Brand to Shia LaBeouf. Using our imaginations is fun! But it does worry me when the movie's creators seem to be reaching a bit. 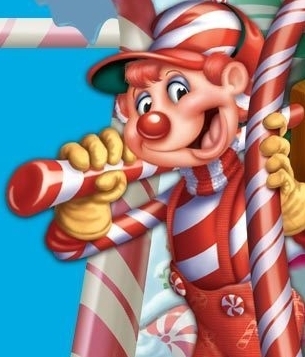 After all, what's funny about the Candy Land game is it essentially has no plot, so I was imagining a Jumanji type of scenario here, with maybe some adorable children meeting their favorite characters. "We envision it as Lord of The Rings, but set in a world of candy. We don't see it as a movie based on a board game, although it has characters from that world and takes the idea of people finding themselves in a world that happens to be made entirely of candy where there are huge battles going on," Berger says. "We are going for real comedy, real action, and real emotions at stake." Jesus, that sounds a little intense. Battles? "LOTR"? Will there be a chocolate Mordor or licorice orcs? Will characters be forced to eat their way past Gloppy the Molasses Monster when he decides that he wants King Kandy all to himself? It sounds a little gruesome for a kid's film. On the other hand: "One Ring Pop to rule them all" would be a great tag line.